it's still cold and muddy out there! Still prime knitting weather, as far as I'm concerned. 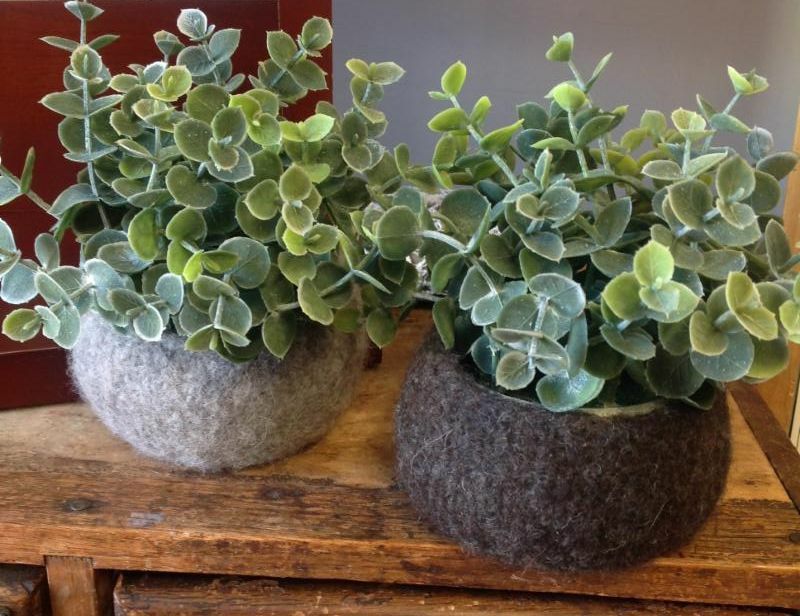 Come in and see what's new for Spring! I-91 Shop Hop - June 27-28-29-30 " C o l o r Pop Shop Hop" ! Come join the fun! You'll knit a little pod, using the magic loop method of circular knitting. Then, together, we'll felt the pods, and you'll be able to go home with one and make more!! This fun pod pattern is from Cocoknits. A simple sweater with some really nice details. This one you'll wear often! Cast on using the Italian/Tubular method. 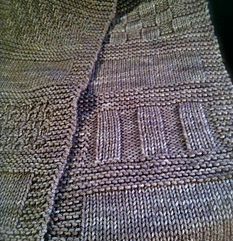 The body of the sweater is reverse stockinette stitch - knitted inside out so that you are knitting rather than purling. 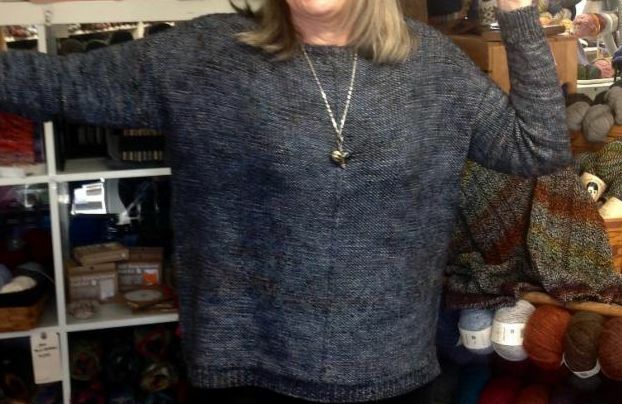 Short-row shaping at the upper body makes for a nice drape, and the sleeves are picked up and knit down. No seams, with a 3-needle bind off at the shoulders, then a tubular-style bind off at the neck and cuffs. Lots of great things to learn! Pattern by Andrea Mowry. Brush up or learn some new skills! & some fun fiber facts. 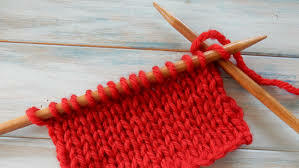 If you are a new knitter - this is a great project for learning how to read a pattern, seeing how different stitch combinations create texture, and getting practice "reading" your stitches. 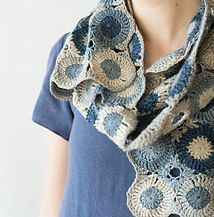 Growing Panes Scarf, by Todd Grossman, is a pretty scarf that will keep you interested as you learn! Saturday, 10-11:30am, April 27 & May 4 $24. First you crochet the circles with join-as-you-go simple motifs, "filler motifs" are added between the circles, finishing with a border that smooths out the edges. The perfect kind of project for traveling, and any time! Think of the possibilities! Thursdays 6:30-8pm, April 11, 18 & 25 $36. Knit, chat & get help classes are $10 per class.